The coarse texture and subdued colours of deer hair, makes this material great for imitations of a variety of terrestrial as well as stream born insects. And the air trapped inside the hollow hair makes for great floatation – and adds a great bonus to most kinds of dry flies. I do a lot of small stream fishing, since basically that’s what is possible in Denmark. We have precious few large rivers. I guess that the ones we call large rivers around here – would be considered as small streams in most other countries. Around most of these small streams there is a lot of vegetation – and a real backcast… or some false casts to dry your flies… are luxuries you can’t afford. Often there isn’t room for that. You switch, roll cast, make crazy snake rolls and other casts, that hasn’t even got a name – in order to get your fly in front of the fish. 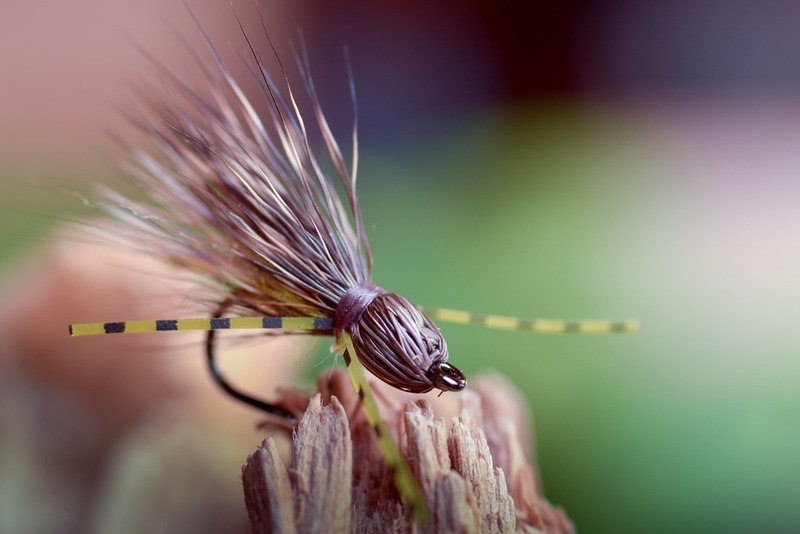 This means, that you need all the help you can get – to make your dry flies float. A lot of local fly fishermen use foam flies of some kind (Chernobyl-ant-or-beetle-style-flies). They work fantastic – and account for a lot of large trout each summer (searun and not). For no practical reason… but purely aesthetic… I prefer deer hair. 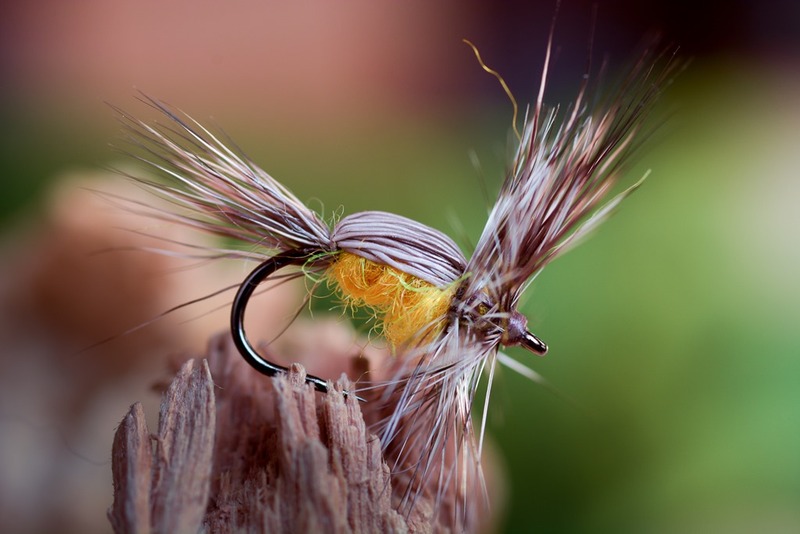 Deer hair dry flies won’t float as long and as high as foam flies. But they look a lot more like something a trout would eat… In my opinion, at least. You can use hair from several deer and then there’s the regional differences. Whitetail deer can be found in a northern, coastal, Texas and several other variations – and you can use roe deer, axis deer, moose, elk and several other types of hair for tying dries. And the exact placement of the hair on the body of the deer has great influence on the texture of the hair. So, choosing the right hair can turn into nerdy territory. For the most part, you can get by with a piece of standard whitetail deer and a piece of coastal (or short and fine) deer hair. All of it comes in a variety of natural shades – and can be dyed to your hearts content. Humpy is a classic. 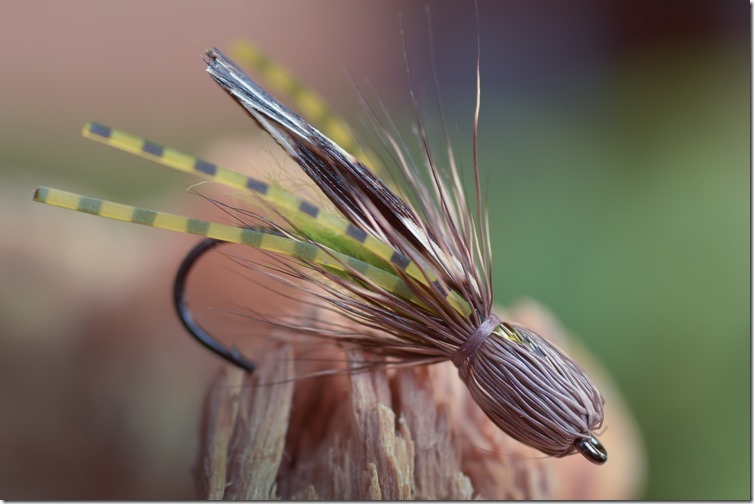 I tie this bug in several variants – by changing the body and hackle colour. Wonderful searching pattern, that can imitate a lot of terrestrials and hatching or egg laying water insects. I like the curved dry fly hook Ahrex FW511, since it enhances the humpback appearance – and has plenty of hook gab to expose the point. 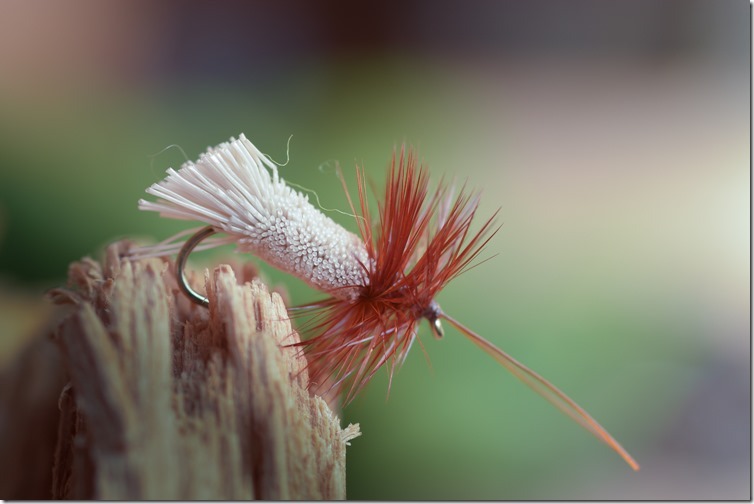 This Deer Hair Hackle type consists of only two materials. Coastal deer hair for the hackle and tail, and dubbing (I use Woolly Sparkle Dub for most of my dries). 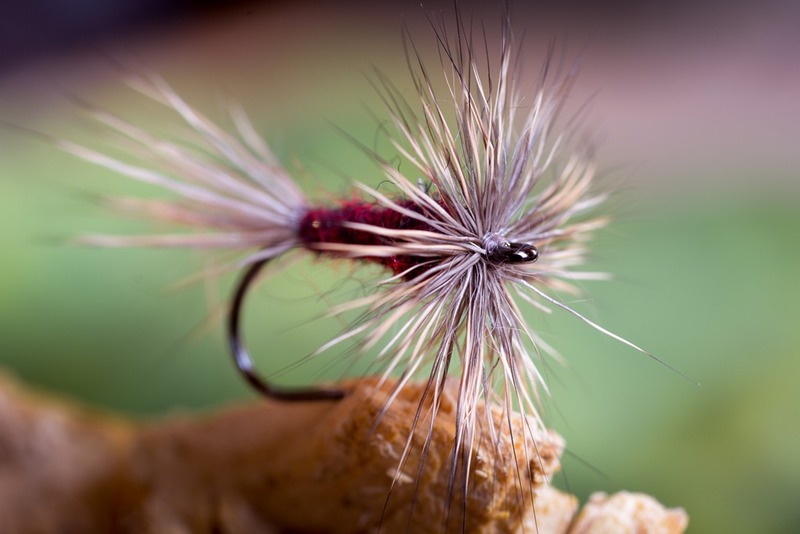 Using short deer hair for the hackle is pretty easy, and it makes a high riding fly. Hook is the FW511. I always carry some variant of the fabulous Goddard Sedge – imitates caddisflies, stoneflies even small hoppers – and floats like a cork. I tie some of these without the feelers as well, since I don’t feel they make much difference. It’s all about the profile. Skating a Goddard sedge across the surface around dusk or at night can grab the attention of some good trout and grayling. A Madam-X inspired bug. The rubber legs seem to add a bit of life and spank to this one. A go-to searching pattern. My version of a Hopper. It started out with knotted legs of pheasant tail fibres of hackle stems – but they tended to twist the leader. So, it ended up with rubber legs instead. Tied on the long shank Ahrex FW530. Really effective during summer and early fall. Slam it down on the surface… and hold on!